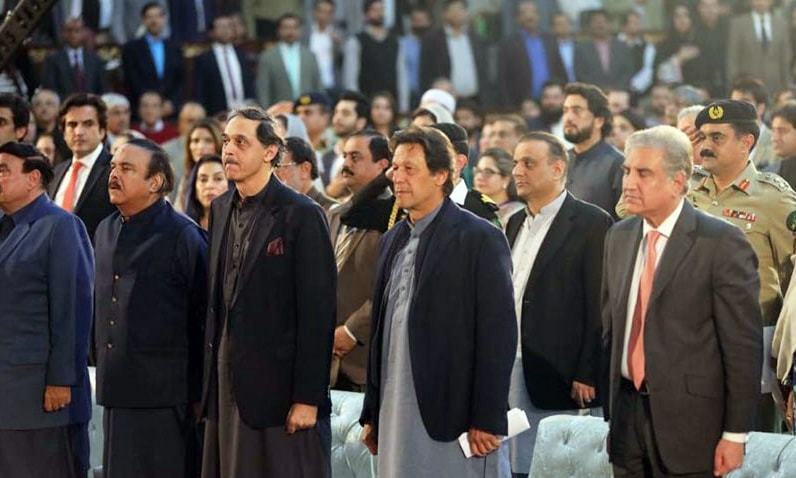 Prime Minister Imran Khan put a greater focus on his government's plans ahead rather than analyse the tasks already accomplished, at a special event held at the Jinnah Convention Centre in Islamabad on Thursday to review his first 100 days in power. Khan, who was the last of an assortment of speakers at the event attended by government functionaries, began by thanking First Lady Bushra Bibi for putting up with his tough schedule, adding that "I have taken just a single day off in the first 100 days". He said the policies adopted by his government in the first century of days in power were inspired by the state of Madina. "In Madina, Prophet Muhammad (Peace Be Upon Him) adopted policies that were based on compassion; all policies were made for the poor," he said. "The tax system of Zakat was established where money was collected from the rich and redistributed to the downtrodden." A major contributing factor to the "downtrodden's" plight, the prime minister said, is corruption, and explained why he took a hardened stance against the practice. "The difference between developed and underdeveloped countries is corruption," he said. "We have so many assets but we are still behind, and our institutions are in shambles — all because of corruption. "I did not know the extent of theft and corruption until I came to power. Every day something new comes up." 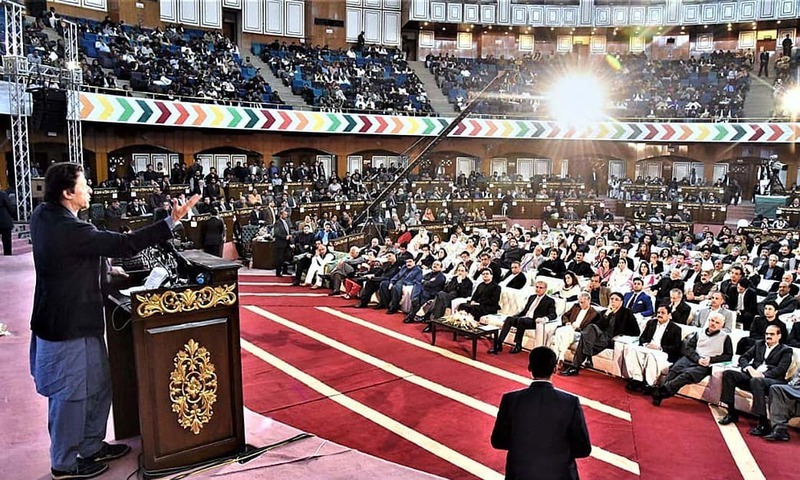 The prime minister dedicated a sizable portion of his speech outlining his future plans, saying: "Four million children will be provided nourishment in order to reduce stunted growth, whereas the Benazir Income Support Programme will be expanded." The premier said that he intends to improve the economy through the provision of quality chickens and eggs to women in rural areas. He said the government would give eggs and chickens to rural women so they could start their own poultry business. “The project has been tested and the government will provide injections to them for raising the chickens faster. This way they will have nutrient food for eating and more chickens and eggs to sell,” said the prime minister. PM Khan vowed to equip farmers with modern technology. "Small farmers are left behind because they do not have the technology, knowledge and money," he said. "We have to provide them the latest machinery and subsidies so they can purchase [latest] machinery." The premier said that Pakistan's fisheries exports are "non-existent despite water resources", adding that "a private party has done a pilot project through which shrimp farming can be done". He also floated the idea of "caged fishing, especially in Balochistan" which he said has "so much potential; we can export as well". Regarding the water crisis, PM Khan offered a "low-cost and quick" solution. "Bhasha Dam will take time as it's a huge project," he said. "We found out that if we retain water in canals etc, it will conserve more water." 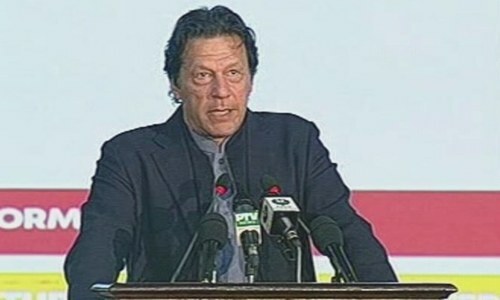 PM Khan labelled the "nationalisation of industries in the 1970s" a "wrong decision", stressing the importance of the creation of wealth in growing economies. "Investments cannot come until investors make money," he explained. "People must be given a chance to make money." The prime minister talked up Pakistan's geographical location and population demographics, which he said make the country an attractive market for foreign investors. He urged the expansion of the tax net, explaining that low tax collection leads to inflation. "How is it that only 72,000 people show their income above Rs200,000?" he wondered. PM Khan said that Pakistan's tourism industry has great potential, adding that a task force has been formed to promote the country's religious and ecological tourism. The prime minister gave an overview of the planned legal forms, for which he credited Law Minister Farogh Naseem. As part of the reforms, he said, "civil courts will have to decide cases within a year and a half". "Legal aid authority will provide legal help to people who cannot afford to hire one," he vowed. PM Khan said he "is aware that our salaried class is under pressure" due to inflation but assured that "I am doing whatever i can to [take you out of this problem]." Earlier, Senator Faisal Javed had formally opened the event with a brief intro before making way for recitation of the Holy Quran. Minutes later, the senator reclaimed the rostrum before a video highlight of the prime minister and the federal government's first 100 days in power was played for the audience. Finance Minister Asad Umar used a cricketing analogy to describe his job, saying "I was sent in to bat when the ball was swinging and seaming both. "I get asked whether I am scared but I have not been unsure even for a single minute" that the party manifesto will be implemented. The finance minister said that the PTI government "inherited a deficit of S2 billion" which he said has already been "reduced by S1bn". 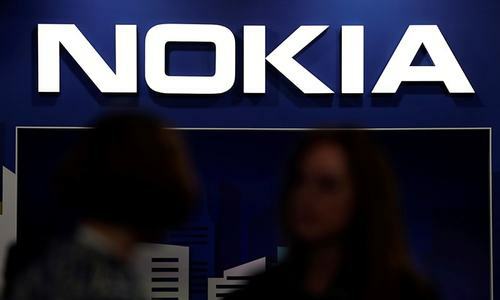 Umar explained the government's decision to also seek alternate channels instead of solely relying on the International Monetary Fund to plug the financing gap. "Economists are asking me why I did not just close my eyes and sign IMF contract," he said. "We will not hide behind the IMF. If we [sign a deal], we will do so on our terms, and we will not lie to the people even if the truth is bitter." The minister revealed that it was upon his advice that the PM reneged on his promise to not travel abroad in the first 100 days. "I take credit for telling the PM that 'you will have take a U-turn on your promise to not travel for 100 days because this was in favour of the country.'" he recalled. "So he agreed and toured different countries." Umar defended his taxation and pricing policies, explaining that the tariffs were hiked only of those commodities that are used by the affluent section of the society. "I am not saying that all problems have been solved and Pakistanis are not facing any problems but in the past 100 days we have set the direction." 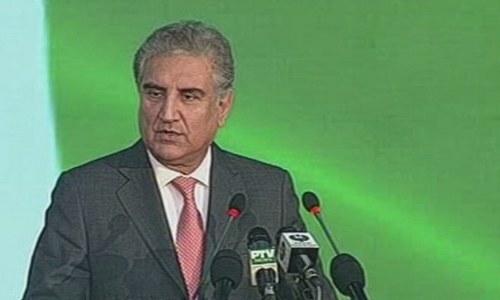 Speaking on Pakistan's international relations, Foreign Minister Shah Mehmood Qureshi said that Pakistan's case at global level was not heard before — something he said his ministry was trying to address. "Our neighbour wanted to weaken Pakistan," he said. "We could not present Pakistan’s case before the world because we did not have a lawyer. "We decided that we would make our foreign office more interactive and started cultural diplomacy. We decided to take guidance and advice from former diplomats. We will also create a specialised foreign office, [and appoint] trained personnel. "You will be happy to know that in 100 days we have had 16 multilateral engagements." 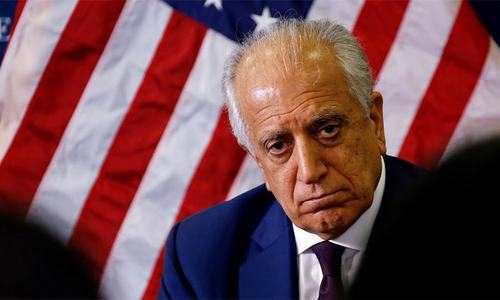 The foreign minister said that the first thing on the PTI government's foreign agenda was to have better relations with Afghanistan. Qureshi also discussed Pakistan's bilateral relations with India, saying: "Tensions with India are not hidden from anyone but our approach is people-centric and we need peace for people to prosper. We need peace in order to speed up the development of our country. He reminded the audience that "Imran khan said he will take two steps for every 1 step India takes" but regretted that "they refused to engage even after the letter written to Narendra Modi". Mohammad Shahzad Arbab, the PM's Adviser on Establishment, was the first speaker of the event. "I remember when we talked about the 100-day agenda, our friends had warned us that we were setting a trap and creating difficulties for ourselves," he said. "I admit that they were right but we wanted to rise above political point scoring." The adviser to the PM reminded the audience that the PM's 100-day agenda was about setting the direction of the government. Arbab claimed that the PTI government "held regular cabinet meetings, adopted austerity and held itself accountable". "We have posted our performance on our website so people can give their feedback," he said, adding: "Thirty-four promises were related to reforms [of which] we have completed 18 successfully. Work on the rest is underway. "When we say these plans are 'complete' we mean that they are ready for launch." The adviser to the PM recounted the measures taken by the federal government in several sectors, including repatriation of laundered wealth, local government reforms and economic steps to boost the local industries. Arbab shed light on the government's flagship housing scheme, which he said "would create homes for the poor and also create jobs". The adviser claimed that "the business circle has welcomed our decision to separate tax collection from the FBR". He touched upon the progress made on a variety of PTI promises, including "social reforms, water policy, primary education as well as the 10 billion tree tsunami plan". Arbab discussed the government's measures on the education front, including the planned conversion of the PM House into a university. The adviser also talked about the promises which he said remain incomplete thus far, including the formation of a new province for the south Punjab region. He, however, said that the party remains committed to the cause and will soon "form a separate secretariat" for south Punjab. Arbab gave an update on the KP-Fata merger, saying that the development plans for tribal areas are close to being finalised. 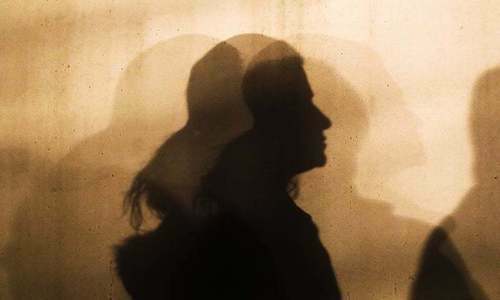 The adviser termed Balochistan as "Pakistan's backbone" and assured that measures are being taken to end the province's "feeling of alienation". Arbab claimed that "in 100 days we have achieved what they [past governments] did not in past 10 years". "In the past, parties would forget their agenda after coming into power. In my 36 years of service, I have not seen the dedication with which this government has worked towards its agenda." PM Khan is going to make some important announcements during the ceremony, according to Radio Pakistan, and take the nation into confidence over the government’s achievements. While opposition parties are terming the 100-day performance of the government as “unimpressive, ridiculous and full of lies and U-turns”, the ruling party leaders are boasting the period with “remarkable achievements”, claiming that the country has been put on the right track. 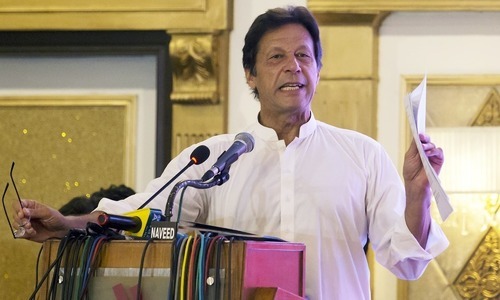 Some three months before the July 25 general elections, PTI chairman Imran Khan had unveiled his party’s ambitious “agenda” outlining the party’s commitments for starting work within the first 100 days of forming government after the polls. The salient features of the agenda were expeditious merger of the Federally Administered Tribal Areas with Khyber Pakhtunkhwa, bifurcation of Punjab and reconciliation with estranged Baloch leaders. 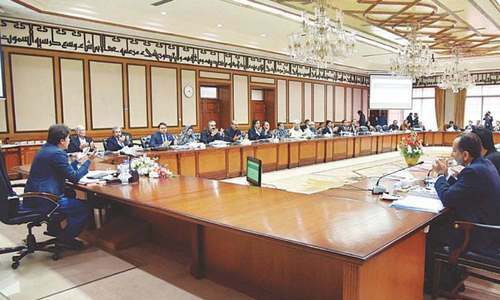 The 100-day agenda also contained a plan for introducing a development package for Karachi and a programme for alleviation of poverty, besides a number of steps for improvement of economy. 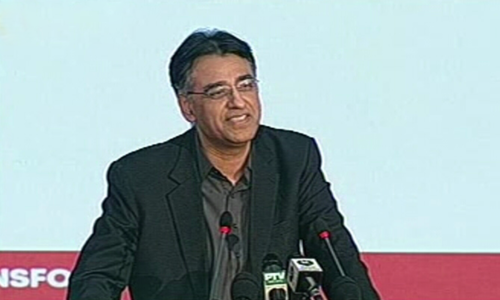 Presenting the salient points of the economic policy of the PTI government, Asad Umar, now finance minister, had promised that the government would create 10 million jobs, revive manufacturing, rapidly grow small and medium enterprises sector, facilitate private sector to build five million houses, reform tax administration and transform state-owned-enterprises. Later, speaking at the first formal press conference after the elections and before assuming the charge as finance minister, Umar had said that offering any relief or subsidy to the people during first 100 days was like giving lollipops. He said the first 100 days would also not see a decision that would change the destiny of the nation, but a clear direction on what “we promised and where we are headed for stock-taking”. The opposition parties allege that the government has totally failed to deliver at almost all the fronts, particularly economy and law and order situation. According to the opposition, the government has not done its homework properly. 3 months is very less time to judge. But i am satisfied how IK going on. an other image show and little accomplished. Opposition should always keep their uproar like this. This is the only way to keep the government to its toes all the time. I feel this time all the good would happen during tenure of our Captain. @DK PAMNANI, please let us know what you wanted PTI government to achieve in100 days? Good relationship with the neighbours is an important factor to make a nation more prosperous and politcially stable. Both India and Pakistan should work not for only friendly relation between the governments but also between the people for the connectivity in all areas. Good neighbourhood benefits all. A quarter million BD nationals visit every year Kolkata during only Eid period. Thousands of Hindus come to Dhaka to see and celebrate Durga Puja every year. When we start criticizing PTI we use microscope and when we criticize PML-N, we use telescope. Double standards indeed. In parallel to "Tracking PTI's Promises", efforts should be made to create set of information with title "Promised completed in 5-Years by PML-N". 100 days is unrealistic to achieve targets and goals. It should have been 100 weeks which would have sounded more realistic and all easily accomplished. Opposition has always been unrealistic and does criticism for the sake of criticism. What people sitting opposition did during their government, did they achieve any targets even during their 5 years. Better performance by IK govt in 3 months than Pmnl & ppp in last 30 years. Well done IK. Country is going in the right direction. PTI should ignore criticism of corrupt mafia as these guys can see very clearly that days of corruption are over. @Pro Democracy, Mt satisfaction does matter because I am Pakistani as well. common people were not suffering for the last 30 years? I AM FULLY SATISFIED with the progress of IK. @Pro Democracy , yes, they are suffering thanks previous rulers and no fault of PTI. What do you expect in 100 days? On the right track. With eye on the ball, target is clear and goal is reachable. Why these opposition parties are such a haste? They did nothing except corruption in their tenure and now asking milk and honey in 100 days. @Aslam Yaqoob, very much right. Every government should present such reports every quarter or 6 months. It helps people to get educated and keeping the government on the toes. There is no doubt that before 2018 elections, Nawaz Sharif and his cronies made sure that there was very little money left in treasury, they tempeted with official documents, and planted their special people in top jobs. It will take time to clear their created mess, give PTI their well deserved tenor and they will deliver - do not judge them on 100 days performance, as this time is used to identify problems and action plans to tackle political, financial social and other associated problems, etc. Don't make premature statements and expect miracles within a short time! I aspire to have this confidence in my life. When you've only done 1 minor thing in 100 days, but hold a ceremony for it. Good effort with good intention and a sense of direction. First time after a long time one feels pride in being a Pakistani. I wont worry about too much about the opposition and the media - they have their own agenda and scores to settle. In essence no one is listening to them any more so lets move on with the same zeal. Well done PTI. Keep the momentum. At least this is the first government to put plans of action in place, previous administrations never addressed any meaningful strategic initiatives. "PTI government inherited a deficit of Rs230 billion which he said has already been reduced by Rs130 billion", Great achievement if it is true! Excuse after excuse by these guys, where is the real progress, living on borrowed money is not progress. Seems like a PTI convention at government expense i assume. What happened to austerity-which was the main point of PMs 1st speech? Great work dear PM Imran Khan of the Islamic republic of Pakistan. Keep it up. @usman, I'm at peace that government is in the hands of honest decent people. First task was to stop the corruption and money laundering. It takes much more then the months to identify priorities and develop scope for single small scale project with detailed project plan. In three months one can get general sense of direction and setting up of baseline against policy directives to formulate going forward strategy. The frontend pllaning if done with proper due diligence takes substantial time on traditional project life cycle time line within the realistic time frame. 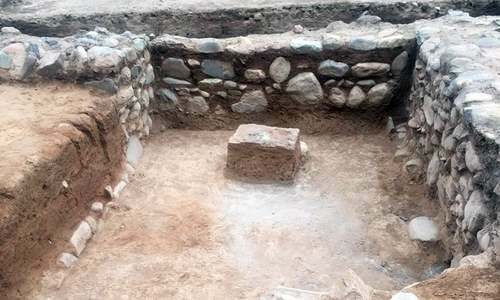 It takes more then three months to clear up space and build foundation for a single story house prior to commencing the work for constructing a structure on it. If you could provide numbers in your progress dash board the advanced countries will follow your model. Only IK can do this. Long live Pakistan long live IK and long long live our Army and Judiciary. 100 days are not enough at least 100,000 days are required I guess. For now gas prices High Electricity prices High Petrol prices High CNG prices High food inflation High foreign reserves Low employment Low housing Low Shelter Low. Last but not least lavish life style of politicians yes very high. if we pakistanis audit a govt in first 100 days nd also at the end of full term, i guess it is the biggest change.. Even a mega country like the United States cannot achieve much in first 100 days, Trump hasn’t done anything other than getting few things done by Executive order. It takes time to even plan, results take time, we didn’t get here in 100 days, were not going to get out of it in 100. The direction is set, let’s hold PTI accountable after at least two years to see what is in progress. As for the opposition, it’s very easy to take up billions and build motorways and leave the paying for the coming generations. I am an Indian, but like this government as at least some steps are being taken to improve the situation and accountability is there which I think is the most important. But action is more required than just talking, as always said performance speaks for itself. One thing I would like to suggest to the current government, not to borrow from other countries or organisations, but build the country on your own merits. PMIK will be a game changer for Pakistan after CPEC. Corruption needs to be curbed from Top to bottom. It has been deeply embedded in our culture and becoming an acceptable practice. This attitude needs to be changed. To be honest, they are trying to fool the public with minced-wording. Why don't you plainly say that 100 days are not enough to extricate the country from the quagmire of myriad issues ? and that 100-days plan was just an arrow in the dark to draw more voters and supporters. @Rehan, - I wonder if you said anything about the previous governments- I doubt you did. Good performance, but so far no land allowed to homeless people in Karachi and on the contrary more people become homeless after fierce and ferocious encroachment drive. One completed out of 50 items that they expected to complete in 100 days? Why not just commit 10 and complete them all vs keep planning new ideas with no results? Put your focus into key items. I am glad 100 days put IK Govt in right directions, to clean last 60 years of mess IK would need at least 8 to 10 years. Most importantly IK is not corrupt and he is honest in his mission to bring Pakistan into developing countries..
At least this govt has a complaints portal app. Previous govts didnt even want to hear of any complaints. They just turned a blind eye. @Anti-Corruption_Pakistani, how do you know? "Recovered Rs350 billion worth of land as part of the anti-encroachment drive" from powerless/poor shop keepers, not from DHA. Now let me know which other Govts even bother to give details of their whole tenure . very much satisfied with last 3 months.. first time in pakistan history our direction is right. he must speed up the accountability process and recovery of looted money. 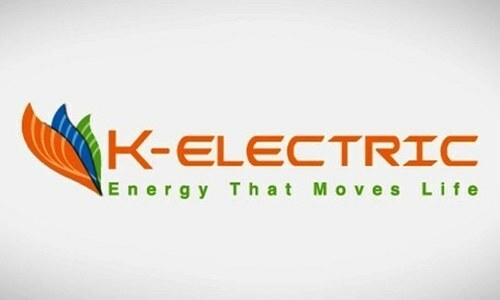 best of luck I.K our prayers are with you..
No doubt in IK's hard work and direction. Steps in the right direction. Good luck IK. One can not undo decades of wrong doings in 100 days, but Pakistanis can see and feel the change around them. All steps taken by the qualified open and honest team of PM Imran Khan are in right direction. It is important for us to support this change and have faith, give them 2-3 years and then qualify their actions. The young generation of Pakistan is smart and well informed, they are the one who brought this change and they will look after the future of this great nation. Reporting and looking at their first 100 days plan shows that this govt is different than other rulers. They ruled us like emperors and never bothered to answer the masses. PMLN and PPP had better 100 day plan to curb corruption and poverty. They were the best in their tenure. 100 days is random and shouldnt be sufficient given the massive task ahead. give him a year and lets see where he stands then. the public has given him a mandate of 5 years. patience is required to do good work. The fact that he had a 100 day plan is a victory itself. Its amazing and a total joy to see how IK is moving the country forward so rapidly. The country feels good just knowing there is a sincere, honest leader and his team. Take 1000 days if you must, but feel the change already. New Pakistan of I.K KHAN has no plan to increase the wealth of Pakistan.. No plan to give any incentive to local manufacture and exporters. Keep on lying just because the literacy rate is down to nothing and people will just accept every lie thrown at them - PTI Logic. A very successful logic. @Sid, - Imran Khan went abroad to look for money. Now he has it he needs to stay in Pakistan and work on the farm to improve it. @Pro Democracy , ...Imran Khan has created expectations for millions of people. Now he must live up to those expectations and achieve stability in the country both economically and politically. Perhaps long way to go, but the good will can not be ignored, in long run, honesty would pay. Keep the fingers crossed! Salutes to the matchless leader my soul has found to exist in Pakistani Politics! Finally we are moving towards good direction. Change will take time, we have to work hard as a nation to make our country good. I am with IK policies and if system will work with him we can really make our country Best. This called people's government. Senator informed that PM Imran Khan has not availed a single day leave, and on the other hand, my very beloved corrupt PM Nawaz Sharif, went 2 times in London every month, now we came to the reason, why? He goes there to check the bank accounts, that, kickback have been credited or NOT yet, same was Zardari government. It is a great start. We all can see that Imran Khan has a very sincere intention. The task is huge and his goals are ambitious, rightly so. It is only natural that years of mess created by corruption and incompetence will take time to overcome. To criticize is the easiest thing to do. Keep up Imran Khan and your team. IK should focus more on domestic issues than on foreign affairs.. Being in the country and trying to improve things at the ground level is more important than visiting other countries for aid. Great, the biggest ever achievement is to set the country on a right direction, the rest will follow. Need more jails for corrupt people. Please give at least one (1) year to PTI and Honorable Imran Khan and then judge the performance. Three months is a too meager time to achieve any meaningful results. TV pundits must also refrain from misguiding the public. Pakistan's problems are many and it will take time to place the house in order. On a related note, I am really liking the Naya Pakistan Tracker. Well done, Dawn! The real challenge for its manager will be to keep it up to date and I hope he/she does. @Raj, I understand your point, and here's my point, so consider this, when you walk into a situation such as the current financial situation Pakistan is facing, there is no quick fix, why would you go on reinventing the wheel? Take a proven system being used by another country and apply it, its proven to work. With the financial mess we are in, there is no time to experiment, go with what works. But thank you for recognizing the steps that are being taken for progress, not only towards betterment of Pakistan, but also peace, let us not forget that. I can quote one big achievement and that is when he meets a foreign head of state they know for sure that they are not dealing with a crook, money launderer and they take him seriously . Again promises and no achievements. Situation more or less the same as in the past governments' eras. Where do we go now ? Start of good governance and accountability of elected official has finally arrived in Pakistan. Otherwise, once elected you never hear from these guys on their actual promises or performance. This is "Tabdeeli" indeed. This is nice. A welcome change from past govts. @Ayesha MoPedo, you forgot we didn't have a foreign minister in the last govt. It caused so much damage to the country. We are 5 years behind on foreign affairs. Repair needs to be done. @Ayesha MoPedo, he spent may be a total of 15-16 of 100 days abroad. Thats 15-16% of the time trying to get funds and sign treaties. Please lets not misguide people. The guy took one day off in 100 days. So thats over 80% of of the last 100 days he was busy working on local issues. So there. Addressing PTI parliamentary members at an event held in Peshawar on 07/08/18, IK had reaffirmed that all appointments in naya Pakistan will be based on merit. There was no mention in 100 day review speech what he has done to enforce merit when appointing bureaucrats and others to key and low profile positions. Also, when transferring employees of different departments. Safarish culture which still prevails, favouritism and unmerited appointments have exposed IK's good governance claims. Although PM mentioned the introduction of health cards, there was no mention what the govt has done to improve treatment facilities at hospitals? There is a room to improve things within existing resources but what is lacking is commitment, determination and drive to do so. Take from Rich and give to poor... Like you did in anti enchrochment drive. PTI is a bunch of immature politicians and therefore will not be able to deliver anything. Various controversies of first 100 days speak for themselves.